Harriot "Sue" Gruner Ross Rockefeller, 83 died peacefully early Christmas morning surrounded by her children and grandchildren. A former resident of Riverside and Greenwich, Connecticut, for the last four years, she had been living in Newton, Massachusetts. Diagnosed with Parkinson's disease over a decade earlier, Mrs. Rockefeller recently suffered a stroke. Sue was born in New York City to Otto Harry and Harriot Coffin Gruner, and she grew up on the south shore of Long Island in Hewlett, New York, where she loved to boat, fish and swim in the Great South Bay and at the Rockaway Hunt and Lawrence Beach Clubs. Sue graduated from the Westover School in Middlebury, Connecticut, and a week after his college graduation married her brother's Andover and Yale roommate, Hank Ross. Hank had been Navy ROTC at college, and Sue followed him on assignment during the Korean War to Coronado, California where their first child Ripley was born and later to Newport, Rhode Island, where Wendy Ross joined the family. Sue and Hank moved to Dallas, Texas for a short time, where Larry Ross arrived, and then to the Philadelphia and New York City suburbs, finally settling in Greenwich, Connecticut where her third daughter Kate was born, and where Sue resided for the next fifty years. 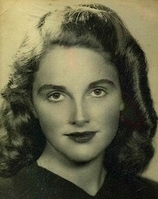 Sue Ross was an incredibly warm and loving mother who epitomized all the very best things about a dedicated, doting mom, wife and homemaker in the suburban 1960's. Married to an advertising and pharmaceuticals executive, Sue was as much a part of Hank Ross' business and social success as he. When Hank succumbed to the excesses of the 1970's, Sue stood strong for herself and for her family. In 1979, she married Andy Rockefeller, and Sue began a new life chapter, moving from Riverside to Greenwich; Todd's Point to Prouts Neck and from skating at Binney Park to skiing in Zermatt; different venues but with Sue unchanged in her values and fierce commitment to her family and her faith. Sue's time with Andy brought each new found peace and contentment. Throughout her life, Sue dedicated herself to helping others, and for years was a Nurse's Aide at Greenwich Hospital, overseeing many blood drives at Christ Church. A long-standing member of Stanwich Congregational Church, Sue served as a Stephen Minister, counseling and helping those in need. Sue Rockefeller moved to Newton in 2010 next door to her youngest daughter Kate, and immersed herself into a wonderful, loving environment, embedded into the lives of her daughter, son-in-law Charlie and her Johnson grandsons. Sue is survived by her beloved brother and sister-in-law, Mr. and Mrs. O.H. Gruner III of Pittsburgh, PA; Ripley Ross of West Hartford, CT; Wendy Carothers of Arlington, VA; Kate Johnson of Newton, MA and Larry Ross of Manchester Village, VT, as well as fifteen grandchildren and one great grandchild, with another on the way, due in May. She was pre-deceased by her courageous grandson, Samuel Robertson Johnson, whom she now holds in her loving arms forever. A memorial service is planned for 2:00 PM on Saturday, January 24 at the Emmanuel Episcopal Church in Boston, Massachusetts. Donations may be made in Sue's memory to the Cam Neely Foundation for Cancer Care, 30 Winter Street, 2nd Floor, Boston, MA 02108.